Preliminary meetings leading up to the Munich Security Conference were held in Tehran, and while the main topic of the meeting was announced to be “the implementation of the nuclear agreement”, the Syrian crisis was also high on the meeting’s agenda. 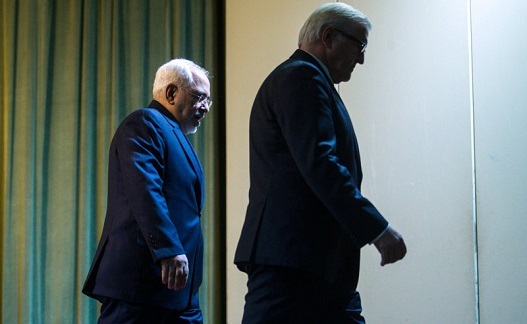 German Foreign Minister Frank-Walter Steinmeier, who had traveled to Tehran for the meeting, urged Iranian authorities to use their influence in Damascus to end the Syrian crisis. Steinmeier maintained that the fragmentation of Syria was inevitable. He added that all concerned parties in the region need to cooperate to end the conflict and he said he would travel to Saudi Arabia to further discuss the crisis. “Iran has to perform its constructive role, and without Iran, we will not reach a resolution in Syria,” said the German foreign minister. Iranian Foreign Minister Mohamad Javad Zarif said a military approach would not solve the Syrian crisis. “We have always said the solution to the Syrian crisis should be an unconditional political one… without interference from the outside… we want to make sure that the future of Syria is determined at the election polls and not by the weapons,” Zarif said. The preliminary session of the Munich Security Conference was held in Iran with representatives from 60 countries. The annual conference will take place in Munich in February.